LINERASE is an anti-aging breakthrough, which uncovered new opportunities in revitalization and rejuvenation of soft tissues. It is used by dermatologists and aesthetic practitioners to increase collagen levels. Collagen is the most common protein and the main component of the connective tissue in the human body (mainly of the skin, joints and bones). It was found that over time, collagen fibers are damaged, losing thickness and strength, which is closely related to skin aging. When we reach 40 years, the production of collagen is reduced by about 25%. This makes the skin slack and saggy. We can stand against this. One of the best ways to fight the loss of collagen is to use LINERASE to replenish its deficiency and eliminate the consequences of its loss, as well. LINERASE is not only effective, but also safe. It is CE certified and bears a status of a Medical Device class III. It is the only commercially available Type I collagen, intended for aesthetic treatment. LINERASE is not the only collagen booster that you can buy on Anna's Cosmetics. If you want to get reliable information about other types of collagen boosters, check out my reviews. Collagen skin rejuvenation with LINERASE is recommended to perform after the age of 25. It is from this age that the collagen production in the body decreases. Create firmer and fuller skin. Improve facial volume in areas such as the cheeks. Rejuvenate soft tissue on the neck. Smooth fine lines around the eyes. Treat scars, stretch marks and acne. Revitalize your complexion, leading to a younger, more vibrant looking you. LINERASE is a wonderful collagen booster, which is very effective and provides natural long-lasting results. You will quickly see an improvement in texture, elasticity and tone of the skin. The results usually persist for 12 to 18 months (in some cases, even longer). 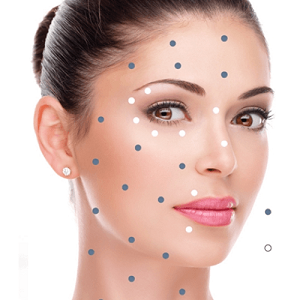 LINERASE collagen skin rejuvenation injections are completely safe as LINERASE is 100% hypo-allergenic. After the LINERASE procedure redness, swelling, itching or tenderness may appear at the site(s) of injection, but these are temporary side effects and the inflammation is a normal response to a foreign body being injected. It is recommended not to take any anti-inflammatory medications because they inhibit collagen synthesis. Although the side effects usually disappear after a few hours, they may persist for up to seven days. It is important to follow the manufacturer’s protocol in a strict manner during the procedure and massage the sites at which the injections were administered afterwards. LINERASE collagen treatments for the skin not only enhance its elasticity and suppleness, they also increase your confidence and boost your self-image. Feeling good about the way we look has been proven to lift our mood, renew our energy levels and attract positive attention from those around us.